Vote for CIPIT in the Best Education Blog Category – 2015 Kenyan Blog Awards! We are pleased to announce that this blog (Strathmore Law School’s CIPIT Law Blog) has been nominated in the Best Education Blog Category of the 2015 Kenyan Blog Awards. 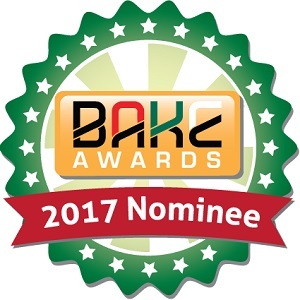 These Awards organised by the Bloggers Association of Kenya (BAKE) recognize exceptional Kenyan blogs that have great and useful content presented in a creative and innovative format. For the first time, the 2015 edition of Kenyan Blog Awards has introduced the “Best Education Blog” category. This category rewards blogs about education matters and those run by educational institutions. With your help, Strathmore University can become the first educational institution to receive this Award. Voting will run from today 2nd March 2015 and will end on April 30th 2015. Let's spread the word using the twitter hashtag: #TeamStrath. Strathmore Law School’s CIPIT Law Blog is an independent and authoritative voice which explores legal governance issues at the intersection of intellectual property (IP) and information technology (IT). Founded in 2012, the CIPIT Law Blog is the first of its kind in East and Central Africa. It is run and edited by the Strathmore Law School’s Centre for IP and IT Law (CIPIT) and covers on an ongoing basis topical issues of the day. We just submitted your blog. Hope you win!